Many auto transportation companies offer special military transportation discounts to active and retired members of the U.S. Armed Forces. Companies offer these discounts to show their appreciation to members of the military for their service to the nation. Military personnel also relocate far more frequently than the civilian population. So, trucking companies also offer military auto transport discounts as an incentive to get more business from service members. 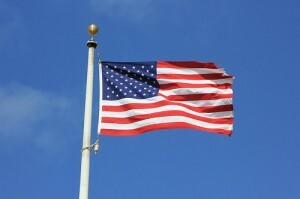 The U.S. military represents a major customer base for several relocation services and auto transportation companies. Some large auto shipping firms, in fact, set up military car shipping facilities near major military bases around the country in order to secure business from members of the armed forces. Often, such companies are willing to transport cars to cities and military bases where few other transportation companies are willing to go. Military transportation discounts vary by company. 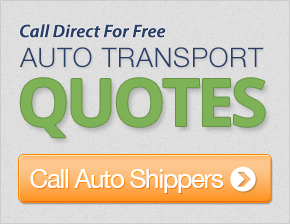 Some auto shipping companies apply $50 to $100 discounts on the overall shipping costs. Others reduce shipping costs by a fixed percentage amount. On average, the percentage discounts run between 5 percent and 10 percent of the total shipping costs. In rare instances, military car transport offer up to 15 percent discounts. Car shipping companies have different requirements for redeeming such military discounts. In most cases, the armed forces member requesting a military discount will need to be enrolled for active duty and have formal moving orders or Permanent Change of Station (PCS) orders on hand. Veterans too qualify for the discounts in most cases. Active duty personnel and veterans seeking such discounts will need to mail-in, fax or email a copy of a valid military or military veteran identity card. In most cases, the “Bill To” party has to be the military member or veteran seeking the military auto transport discount. Military discounts can reduce overall shipping costs by a considerable amount but there are certain caveats that military personnel and veterans need to be aware of when seeking such reduced rates. Most auto shipping companies offer these discounts only against their full standard shipping price. That means reductions will not be available on any other promotional prices or discount offers that the shipping company might be offering at the same time. Before applying for a military discount, it is always a good idea to see if such promotional pricing offers get you a better deal. Always compare costs before choosing a military car transport company. Sometimes, a flat $50 or $100 discount offer might work out better than a percentage discount offer. In other cases, the opposite may be true. Remember, the discount will not apply to any applicable taxes and surcharges. Typically, the quoted price will also include only base insurance coverage. Be prepared to pay extra if you want comprehensive military car shipping protection for your vehicle during transit.